The jewellery brand which started out as an online retailer has completed seven years in the industry and emerged as an omnichannel jeweller that continues to disrupt the jewellery market in India. "7 years ago, we started with a very simple mission to democratize jewellery and make jewellery that is beautiful, affordable and forever wearable for everyone. I am delighted with the progress that we've made in the last 7 years and where we've gotten to so far. We virtually created the online market for precious jewellery and now have offline stores as well! We serve thousands of customers every month and are rapidly expanding our customer-base month on month" Mithun Sacheti, CEO & Co-founder at CaratLane.com recalls. With a strong online and offline presence, CaratLane has disrupted the jewellery business in many ways. Its online business continues to grow rapidly with more and more customers every month. It offers Try @Home, a feature that allows online customers to try products in their own home before they decide to buy. It launched the world's first virtual try on jewellery application - the Perfect Look app which has had over a 100,000 downloads. CaratLane also ships internationally to the US, UK, Canada and Australia. And more recently, the jewellery brand partnered with FastBanking to provide a long-standing demand from many of their customers - an option of buying jewellery through EMIs. 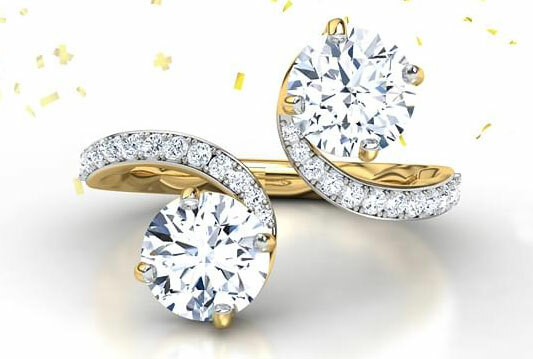 CaratLane is also recognised for completely disrupting the jewellery supply chain with its innovative STREAMLANE business model which includes sourcing diamonds directly from vendors and maintaining a low inventory thereby allowing it to offer prices that are up to 30% lower than traditional jewellery stores. "Today as we look back, we've completed the whole 360 degree spectrum; from online to high-tech retail stores, from try-at-home service to the Perfect Look app. As we celebrate our seven successful and beautiful years, we continue to strive to find newer ways to make beautiful jewellery an integral part of everyone's 'everyday' lives," Sacheti further added.